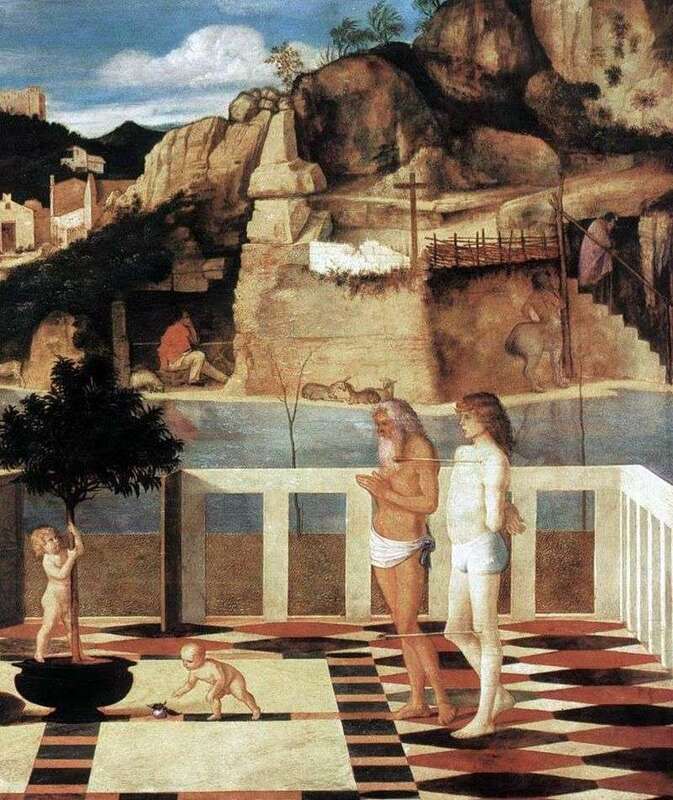 The right fragment of the picture of Giovanni Bellini “Allegory of Purgatory” is presented. The size of the picture is 73 x 119 cm, wood, oil. The plot, probably the most famous painting of Bellini, commonly known as the “Sacred Allegory” is mysterious. It saw an illustration to the poem “The Pilgrimage of the Soul” by Guillaume Degillville, an allegory of charity and a “holy interview.” The world in the “Sacred Allegory” is transformed with an even, soft light, reverent silence reigns in it – Bellini created the first of those mysterious dream pictures, which later became famous for his disciple Giorgione. The painting “The Sacred Allegory” foreshadows such works of the master as “The Holy Interview of Giovannelli” “Pieta” “Madonna del Prato” “The Baptism of Christ” Altar of San Zaccaria. Description and meaning of the painting Allegory of Purgatory by Giovanni Bellini.